The Mate LENSMATE™ lens inspection system allows a visual inspection of the lens to be performed in 30 seconds or less every time a lens is cleaned or changed. The test is easily performed in normal room light and requires no fixtures or power source. Improve optics life and performance with this convenient and easy-to-use Mate maintenance accessory. 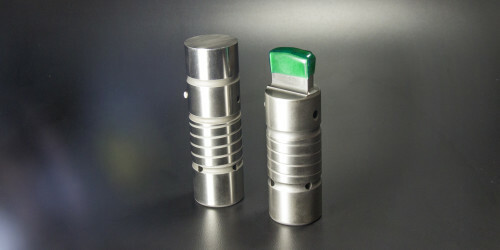 Reduce lens mounting downtime with Mate's user-friendly CO2 laser lens mounts.